RATHER than suffer the highlights of England’s World Cup qualifying draw with Poland last week, I watched BBC genealogy documentary series Who Do Yo Think You Are? 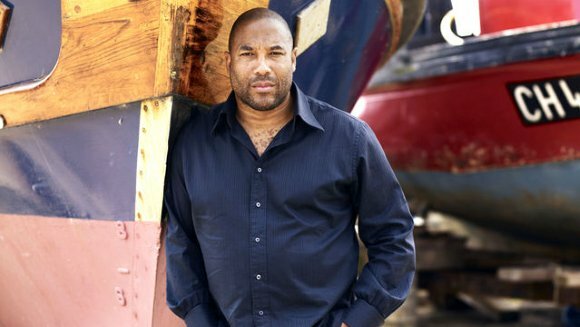 as John Barnes jetted off to Jamaica to learn about his family’s part in the battle for the island’s independence. Along the way, the former England and Liverpool legend grew to appreciate all his maternal grandad and great-grandad had overcome, something he could fully relate to following his own battles as a professional footballer. 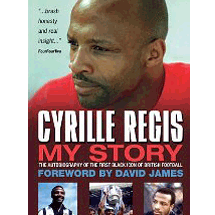 That powerful image of Barnes back-flipping a banana thrown his way on the pitch got an inevitable airing, and brought to mind the Cyrille Regis autobiography I recently finished, an important account of the racism another trail-blazing black man had to endure in those bad old days of racism in British football – for England, West Brom and Coventry in the ’80s. I was fortunate at my own club, Woking, not to have encountered such hatred, not least as so many great black players have come through the ranks and excelled there. But I’ve seen examples of blatant racism at various grounds over the years, and it still sickens me. I hate to think what players like West Ham’s Bermudan star Clyde Best had to endure in his day. Yet we still see plenty of evidence of this cancer, with high-profile cases in court this past year detailing abuse from the mouths of those who should know better – however dim-witted or ‘misguided’. That’s not just players and fans, but also some of the pundits and press shouting from the rooftops this week yet needing to examine their own double standards. The ignorance we saw last week in Serbia was blatant and shameful, and no one in their right mind should have expected England Under-21s’ Danny Rose to have put up with it. The Sunderland defender endured a torrid 90 minutes that completely over-shadowed our 1-0 win in Krusevac – amid fans invading the pitch, scuffles breaking out, and Rose subjected to monkey chants, twice struck in the head by stones, then red-carded after the final whistle for kicking the ball into the crowd in reaction to the abuse he received. Among those to speak out after the disgraceful scenes was Queens Park Rangers defender Nedum Onuoha, who was at Manchester City back in 2007 when he was subjected to monkey chants during an England U21s win over Serbia in the Netherlands, an experience he described as ‘the toughest 90 minutes of my life’. On that occasion too, trouble broke out as the players left the pitch, the FA later alleging further racist abuse from Serbian players. The FA protested to UEFA, who responded by fining the Serbian FA £16,500 and England £2,000 for their players’ improper conduct. Clearly, nothing’s changed since, and while things are far from perfect on these shores and we still need to focus on racism and come down hard on it – however casual it may seem – the problems are far worse overseas. We’ve been punished in the past for crowd problems, and now it’s time for FIFA to finally crack down and ban Serbia and any other nation guilty of race hatred. They’ve been slow to act in the past, and that has to change. Among those who spoke out in Rose’s defence after Tuesday’s shocking scenes was Professional Footballers’ Association chairman Clarke Carlisle, saying Serbia should receive a ‘significant’ international ban for ‘a repeat offence’, while dubbing Rose’s red card ‘farcical’. And Reading’s ex-Blackburn striker Jason Roberts, also on BBC Radio 5 Live, added a forthright: “UEFA have shown they have no stomach for this battle. They haven’t taken this on in the past; I doubt they will now. We shall see, but rest assured that the eyes will be on FIFA President Sepp Blatter and his cronies these next few days and weeks. So wake up boys, it’s the 21st century, and it’s finally time for you to take racism seriously. A version of this Malcolm Wyatt article first appeared on the http://www.sportnw.co.uk website on October 18th, 2012. This entry was posted in Books Films, TV & Radio, Football, sport and tagged Clarke Carlisle, Clyde Best, Cyrille Regis, Danny Rose, Jason Roberts, John Barnes, Nedum Onuoha, Paul Ince, Sepp Blatter, Who Do You Think You Are. Bookmark the permalink.